Rado is famous for its use of high-tech ceramic and the latest additions to its HyperChrome family show exactly why. 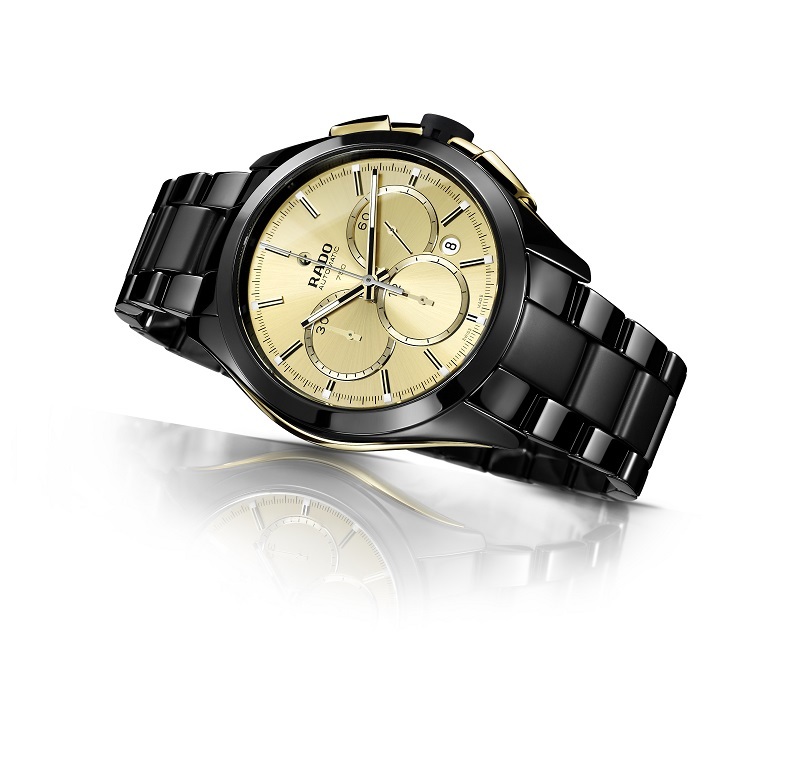 Combining lustrous, sleek and shiny high-tech ceramic with 18k luxury, Rado has struck watchmaking gold. With its groundbreaking monobloc case and gleaming integrated full ceramic bracelet, the HyperChrome Automatic Chronograph Gold Limited Edition is a stylish heavyweight which is surprisingly light due to the use of high-tech ceramic. What better material to offset brilliant black than 18k yellow or rose gold? The two materials form a perfect fusion for a look of undeniable prestige. But prestige is never present at the expense of practicality at Rado and each Limited Edition is not only super stylish but also highly comfortable to wear.